Written By: Bill Plotkin, Ph.D. 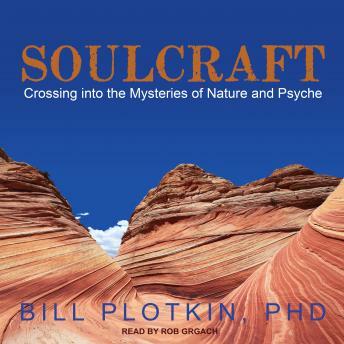 Since 1980, depth psychologist Bill Plotkin has been guiding women and men into the wilderness-the redrock canyons and snow-crested mountains of the American West-but also into the wilds of the soul. He calls this work soulcraft. There's a great longing in all people to uncover the secrets and mysteries of our individual lives, to find the unique gift we were born to bring to our communities, and to experience our full membership in the more-than-human world. This journey to soul is a descent into layers of the self much deeper than personality, a journey meant for each one of us, not just for the heroes and heroines of mythology. A modern handbook for the journey, Soulcraft is not an imitation of indigenous ways, but a contemporary nature-based approach born from wilderness experience, the traditions of Western culture, and the cross-cultural heritage of all humanity. Filled with stories, poems, and guidelines, Soulcraft introduces over forty practices that facilitate the descent to soul, including dreamwork, wilderness vision fasts, talking across the species boundaries, council, self-designed ceremony, nature-based shadow work, and the arts of romance, being lost, and storytelling.